Steps away from the E and M train at 53rd Street/5th Ave, and two avenues away from the 6 train at 51st and Lexington. Catering is available for delivery in Manhattan or for pick-up from Midtown. 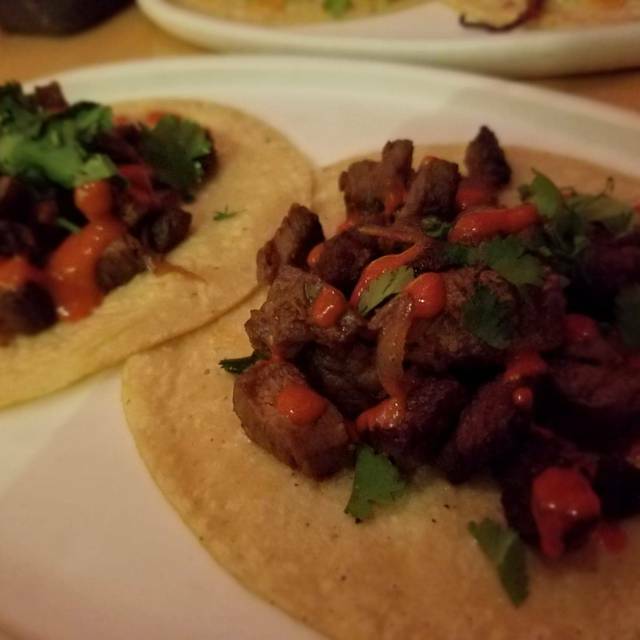 Empellón catering brings a range of tacos and sides to your home or office. Vegetarian, gluten-free, and dairy-free options are available. See our website for more details. Empellón is our flagship restaurant located in midtown east. 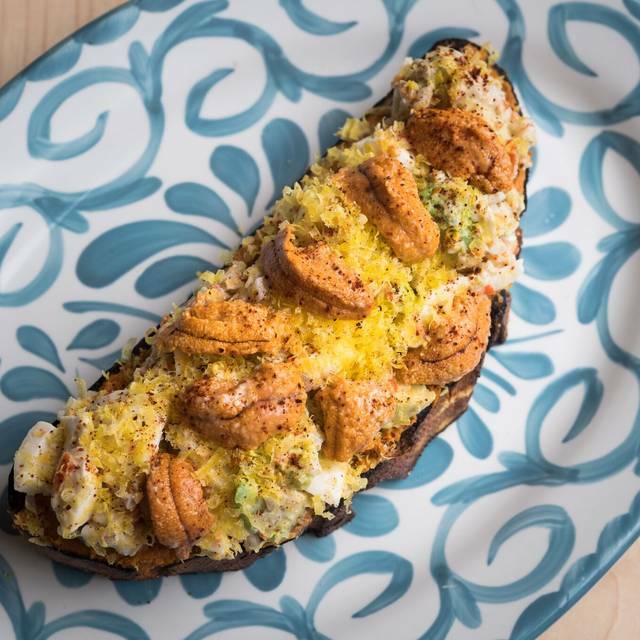 Empellón serves contemporary American cuisine with Mexican influences and a distinct New York City point of view. Chef Duncan Grant creates an ever changing menu that focuses on seasonality and keeping things fun amidst an upscale environment. Our beverage program showcases a selection of wines by unique global producers with an emphasis on small production. Our cocktails focus on precision and the use artisanal spirits. All of our beverages have been designed to pair with our cuisine. 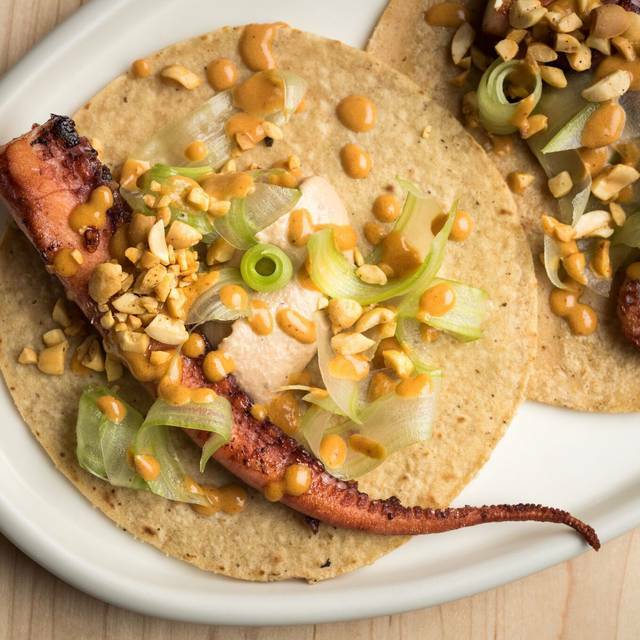 Celebrate Cinco de Mayo at Empellón! We’re serving a special curated menu, including the Empellon favorites such as tacos, crab nachos & queso fundido. Enjoy $10 classic and spicy cucumber margaritas all day, with mariachi from 3 – 4pm! Second time dining there and while it was much better than the first time, our food came out cold. Not luke warm, cold. Unfortunately sent it back and the pork belly appeared to have been re-made but my pastrami tacos were not. They came back barely warm and still cold in the middle. They didn’t offer to keep the third entree hot while waiting for ours to be dealt with so he ended up watching his get cold while waiting for ours to come back. All salsas are amazing and the sea urchin nachos were fantastic. Unfortunately we waited a long time to order a second round of drinks and there wasn’t anyone around to flag down to ask. They sent desserts as an apology. “Avocado” dessert was innovative and delicious, corn ice cream tacos fine, pineapple dessert fine. Surprisingly enough, it was a lot better than the first time I went but doubt I will return. Nice. Excellent soft shell crab taco. Interesting food in a happening spot. The bar can get pretty crowded and noisy. Perfect business lunch. Fast and delicious with exceptional service and gorgeous food. Very rare to get such a great meal for business meetings! Had a very nice lunch recently. Food was great: inventive, healthful, fresh, great flavors. Service was just right: attentive but not intrusive. We were a two-top and were seated upstairs overlooking the floor below. The sound level was a bit less so easy for conversation. 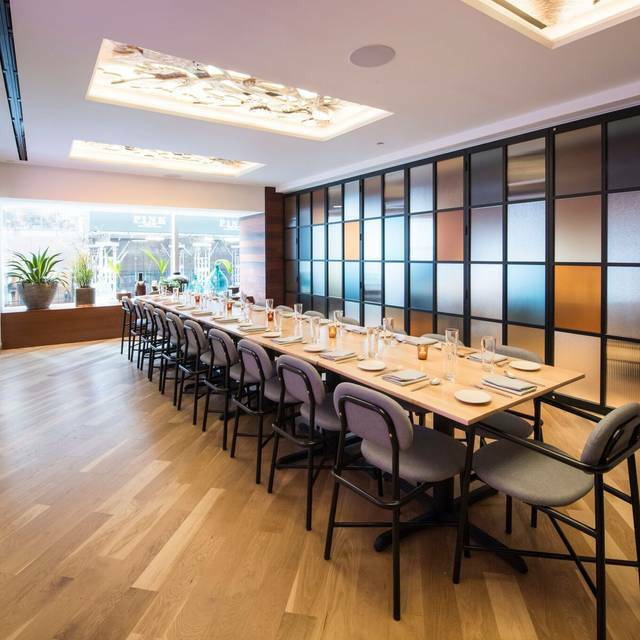 Overall a good experience, a very upbeat, hip and modern restaurant location for lunch for the well-heeled. The food is decent, desserts are outstanding and service is great. 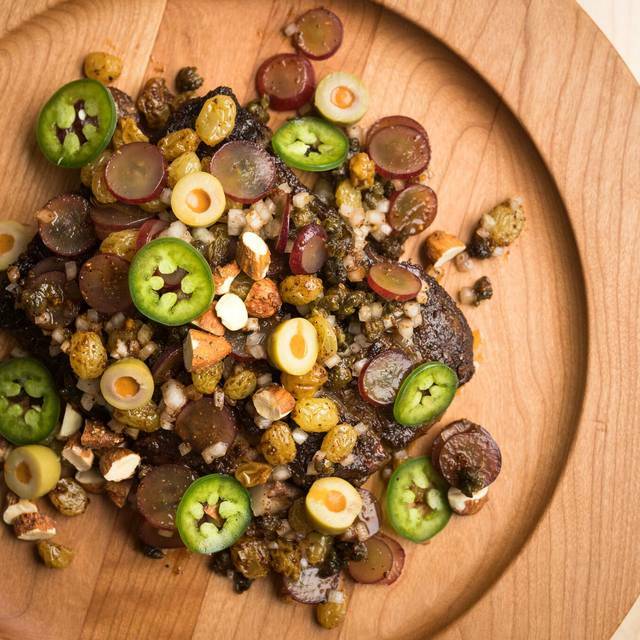 The dining experience at Empellon was on of the better ones I've had in recent memory. The food is fantastic and service was great. I can't wait to go back! Great meal. Had fish and octopus tacos. Good guacamole and salsas. Drinks well made. Attentive service. Hit the mark o every level. Food was tasty service was great and ambiance was perfect. Interesting food. Recommend the crab nachos and octopus taco. Friendly knowledgeable service. The ambiance was a little sterile..the room was pretty but did not feel warm. Wait staff almost too attentive,quick...felt rushed. I thinkit is a good pace for groups as oppossed to quieter get together. Guacamole was just ok but the salsas that came with were phenomenal (especially the 2nd spiciest). Very few veg options. Phenomenal Time, the staff went above and beyond to make our experience better and better as our meal went on. We were celebrating 5 years together and. Not only did they send us champagne they also sent us extra desserts. As someone in the industry I truly appreciated all of it. 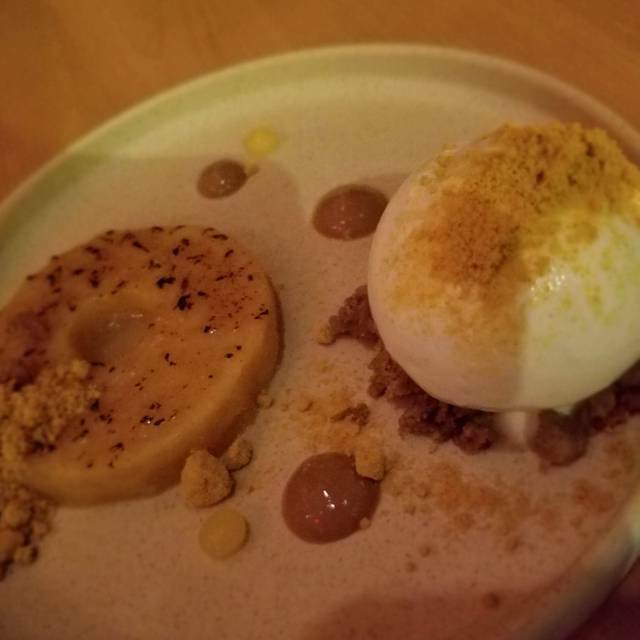 As for the desserts my favorite was the corn taco and my significant other loved the pineapple! Honestly I’m still thinking about the dessert tacos and how I would love another one right now. Salty, sweet, and buttery, the perfect trifecta. The uni and crab meat nachos are INCREDIBLE. Service was amazing. Would absolutely go back with friends, on a date, with family, etc. Love! Lovely evening at Empellon Midtown. Loved the Margarita’s and Guacamole with seven salsas while we made our menu choices. Our waitress offered some suggestions for both appetisers and Entrees. 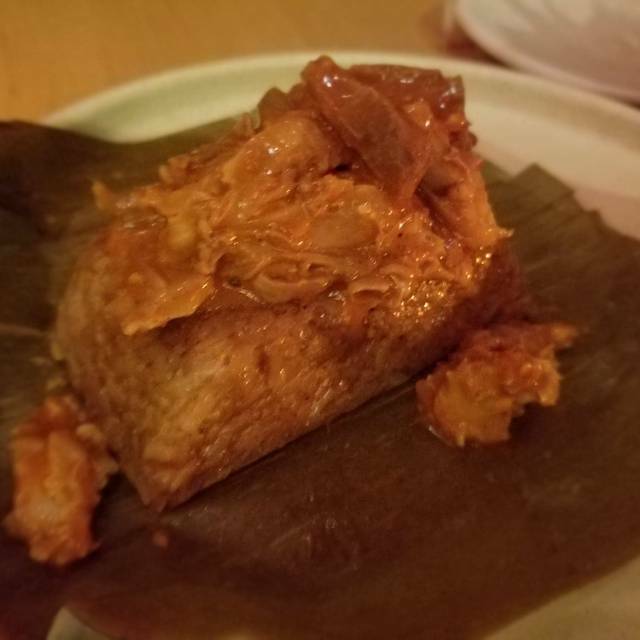 We opted for the chopped cabbage salad and sticky rice tamal for our appetisers which were great. We followed with the crispy pork belly which was also delicious. The restaurant has a lovely ambience. Excellent margaritas and creative menu. Large portions and some sharing is good. Deserts were over the top and made the final tastes hard to forget. Kristen and Gerc were great manager servers too. Our wait staff was attentive, the food came out at the right pace, and the prix fixe menu at lunch had great options and was reasonably priced for a nice business lunch. Empellon was super! We've been meaning to visit and the wait was well worth it. We were graciously welcomed and then intelligently and perceptively supported during our decision-making on our lunch. Service was great and leisurely. 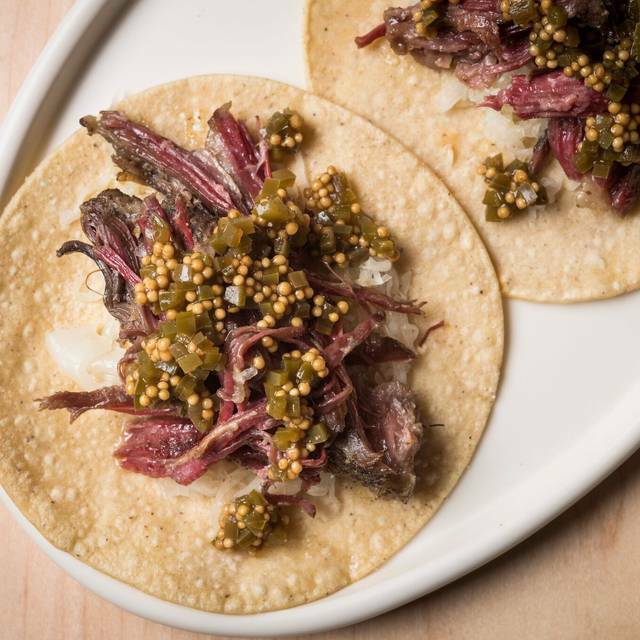 We had some questions about tortilla-making and our server most kindly and thoroughly explained Empellon's practice, and even wrote down the type of corn meal that's best. Our prix-fixe lunch provided fine value and an extraordinary taste treat. Thanks so much for a lovely experience. The food was excellent! Service was jovial, nice and unpretentious. Value is what struck me the most. Will definitely go back! good food and service, vibrant atmosphere, went there on Thursday night for a business dinner, the place was packed as a watering hole for mid town offices, a bit too noisy but tolerable, will go again perhaps on weekend. Food and service were outstanding! We are from out of town and eat at Empellon every time we travel to NYC! We will certainly return to Empellon on our next visit! Food is fantastic and the presentation makes it look even more appealing! Exciting to see Empellon still firing on all cylinders with classic dishes still on the menu and some wonderful new additions. Service remains expert and the restaurant just beautifully run on every level. Food, as ever, is incredible. We are originally from Texas and have wanted to try Empellon for a while. I agree with other reviewers that it is a bit pricey, however everything we had was really good! The guacamole with 7 salsas is pricey at $22 but it was more than enough for the two of us . We also had the fish tacos and at the suggestion of our server the short rib with picadillo. We were so full (and we are eaters) that we took half the short rib dish home and made a great omelette with it the next morning. The service was friendly and fast. We were there on the early side on a Friday night and sat in the front window so the noise level was pretty tolerable; however I can envision it getting loud as the night progressed. Overall we had a great experience and will definitely go back! If you don’t mind the noise, the food is terrific. 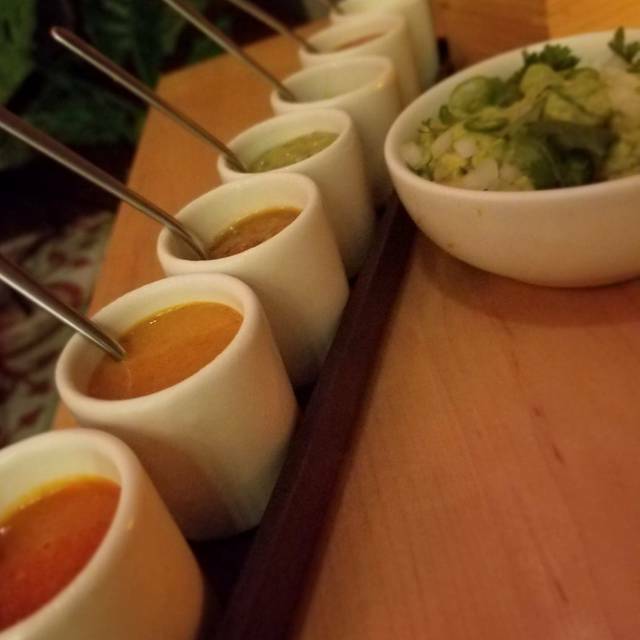 Don’t miss the seven salsas and guacamole— it is fabulous. Inventive cuisine with a Mexican flair and very attentive and responsive waitstaff made this a great choice for a pre-theatre dinner, avoiding the hurly burly of the Broadway dining circus. The way they do their guacamole appetizer with a variety of salsas should be replicated by other restaurants, it is SO good! Elegant, interesting flavors, light and healthy, small portions, attentive and efficient service. Lunch menu felt a bit limited. Not for everyone. Expensive. I made a reservation and still needed to wait 20 mins to be seated. My reservation requests were not taken into consideration, I was seated next to a crowded bar with no privacy and restaurant staff didn’t even help my date get into her table. No thank you for my first date impression. Please note I did call the day of reservation and the day I made the reservation. Food is delicious and service is stellar. It is a bit loud during the lunch hour but manageable. Good food, service was a bit slow but everyone made us feel comfortable.